In a beautiful manifestation of native culture through film, The Pocahontas Reframed: Native American Storytellers Film Festival conveyed the importance of traditional storytelling in a world oversaturated with instantaneous information. This past weekend, veterans of the French Film Festival, as well as some new collaborators, pulled together Richmond’s newest annual film festival in a free, three-day event at the Byrd Theatre. With 13 films and three performances, Richmonders were able to experience Native American culture, music, language, and customs. Each day of the festival was dedicated to a particular theme, beginning Friday with films that focus on retrospection of Native American history, including the documentary “Seasons” which explores the development of Earth’s forests, as well as a 1930 silent film titled, “The Silent Enemy,” which was accompanied by the Byrd’s famous Mighty Wurlitzer organ. Saturday’s films explored stereotypes and misconceptions of Native American peoples and culture. Some of the films presented were “Reel Injun,” a documentary about the portrayal of native peoples in American film, as well as a narrative film titled, “Neither Wolf Nor Dog,” depicting the relationship between an aging Lakota elder and the white writer he chose to help him write a book. Finally, Sunday’s films were either entirely about or written and directed by Native American women. I had the pleasure of attending two of the films and one performance this day, starting with a moving performance from Mohawk musician Elizabeth Hill, who sang original songs that combine traditional Native American music and stories with folk, blues, and country. She also performed several traditional Mohawk songs, whose tribal sounds and language evoked a nostalgic sadness from the audience. Hill, who is from Six Nations of the Grand River, Canada, wrote the score for the film, “Kissed by Lightning,” which was screened earlier that day. Following her performance, the documentary “First Daughter and the Black Snake” tells the struggle of Winona LaDuke, a Native American environmentalist, economist, and writer who fought and continues to fight against crude oil pipelines disrupting her Ojibwe community’s sacred wild rice beds. The film was a particularly poignant choice as many communities across the country, including those in Virginia, are fighting their own pipeline battles. The second film I was able to see was a narrative film about the true-life story of Mary Thompson Fisher, or “Te Ata,” her stage name as well as the name of the film. Fisher was a Broadway performer raised in the Chickasaw culture and became one of the most well-known Native American performers of all time. Although the film itself was low-budget, the story kept in line with the theme of the day as well as the festival. Overall, the films chosen were meaningful and educational, and created a platform for Native American filmmakers to share their work, whereas there hasn’t been a Native American film festival on the East Coast. 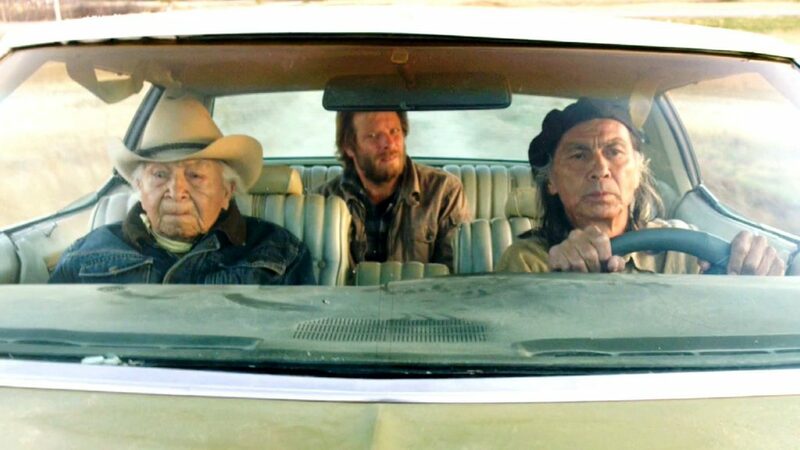 Now named the premiere Native American film festival, this annual event is sure to stick. In partnership with Peter Kirkpatrick, co-founder of the French Film Festival, the Byrd Theatre’s general manager Todd Schall-Vess, and experienced sales executive Brad Brown, Native American director and actor George Aguilar was instrumental in organizing and creating this festival. Aguilar normally resides in Paris, but traveled to Richmond this weekend to support the festival. The festival was sponsored this year by film director and producer Francis Ford Coppola, as well as Virginia’s 2019 Commemoration, ‘American Evolution.’ The 2019 Commemoration examines the continued impact from the 1619 collision of three cultures in Virginia: Virginia Indian, English and African. It explores the untold stories that have had an enduring impact on 400 years of history in both Virginia and the United States.